New Year, new events! In addition to our own bookshop events we are delighted to welcome back the N16 Writers & Readers Network. Monday 8th February: We will be hosting the wonderful Patricia Ferguson speaking on her novel ‘Aren’t We Sisters?’. Set in 1930s Cornwall, it tells the tale of Norah Thornby’s mysterious lodger Nurse Lettie Quick. What’s really going on in the clinic she has opened? Murder, blackmail and contraception make for a tense and captivating read. 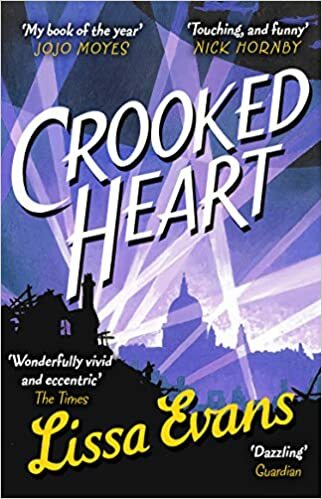 Monday 14th March: A Christmas staff pick and a firm shop favourite, ‘Crooked Heart’ by Lissa Evans, is the tale of 10 year old orphaned evacuee Noel, and Vera, who takes him in, but has troubles of her own…Dark comedy unites a most unlikely couple. We look forward to welcoming the lovely Lissa to discuss this interesting new novel. All events are £2.50 entry and include a complimentary glass of wine.